Thousands of whales escape the cold of Antarctica and migrate to Australia to warm up every year, but they don’t just relax in the seas of Sydney they also breed, calve and feed. Follow Colin Thwaites’ tips and you’ll increase your chances of having an encounter with these majestic giants off the coast of Australia’s largest city. During the year, there are around 16,000 whales swimming past and through Sydney’s waters. A large proportion of theses are humpbacks, but you can also see southern right whales too. The annual migration is a sight to behold, as the whales swim, flip, and roll, reportedly attracting 1.6 million visitors per year to Sydney’s shores. Of course, the humpbacks certainly don’t put on a show on command – we need to adjust to them and to go looking for them. Sydney’s whale watching season is based on migration patterns; when they leave the cold waters of Antarctica to give birth in the warmer waters of the Coral Sea and then return to Antarctica for food. 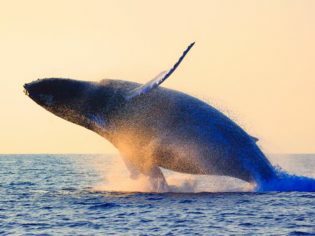 Although the season starts further south around April, the best chance to see whales around Sydney is from May to November. 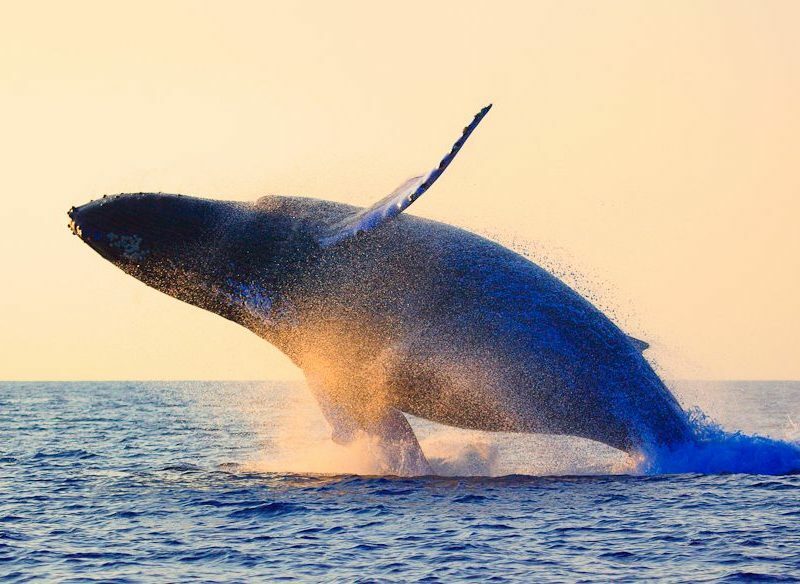 From May to August the whales are on their northern migration to Tropical North Queensland. From mid-August to November they are on their southern migration to the Antarctic, along with their new born calves. A must see! It is not uncommon to see whales in Sydney’s waters in December, but sighting frequency of is pretty low. Book for the afternoon – rates are cheaper in the morning, when sightings are fewer. Go in the afternoon if you want a higher probability of seeing whales. Book tours with guaranteed sightings – different companies have different policies on this. Be sure to check how the guarantee works. Aim to spend about four hours on the water – it will be a shame to book for an hour or two only to see nothing. Obviously, the longer you are there, the more chances you get to see a beautiful show. Go in spring – it’s okay to go whale watching in winter, but it’s better to do it in spring, when the carves are born. You get to see the mothers feeding their calves and teaching them how to swim. Choose a tour with on-board meals and drinks – You are always free to bring your own food and drinks, but isn’t it a lot better if you don’t have to worry about that? Make sure there’s an expert on board – This is especially true if you’re bringing kids along with you so they can understand all the whale facts and figures. Not really up for a cruise adventure? Well, there are plenty of vantage points around the mouth of Botany Bay ideal for off-water whale watching. Bare Island Fort at La Perouse (16 km south east of Sydney’s CBD), offers a scenic view, perfect not only for whale watching but also for picnics, bird watching, and exploration. It’s only open on Sundays, but it’s worth the wait. Directly across the other side of the bay, Cape Solander is regarded as one of the best spots in Sydney to whale watch from shore – you can get within 200 metres from the swimming giants. Located near Kurnell in the Kamay Botany Bay National Park, it has a viewing deck with information boards. Also consider nearby Muru and Yena tracks, about an hour’s walk, which will take you to the cliffs overlooking the Pacific for the whale show. For the more adventurous, the Cape Baily Coastal Walk is a two-and-a-half hour trek to the cliffs. Even if you don’t get to see whales, you’ll have the chance to see wildflowers along with diverse birdlife such as sea eagles, kestrels, and terns.